Growing up with Dad's travel trailers and now his old Roadtrek, I have no experience with hydraulic leveling jacks, but have the impression that their range of motion is limited so they don't help on sites that are more than a little out of level, and that one must not try to compensate for a diagonally out of level site or you'll bend the frame of the chassis. Some have claimed the Ford is strongest in resisting twist and that Chevrolet cut-away frame is weaker, but I wonder how much is hearsay based on comparing truck frames of a half century ago? 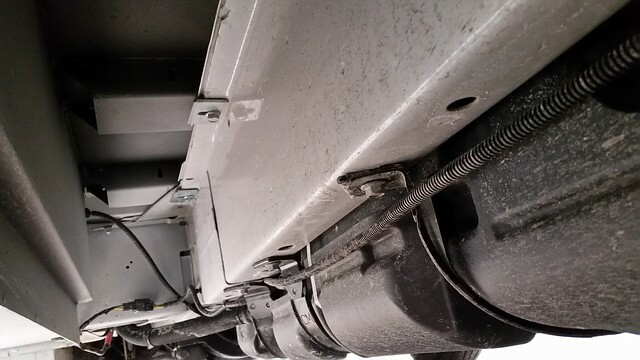 Some claim that no hydraulic jacks should be used on any Class C, and that they are really only safe for Class A on medium-duty truck frames, or heavier. Any thoughts on any of this? Any PC owners with problems? No problems and I love mine!! This is my first rig with levelers and with how we travel and where we like to go I would never not have them now. There is another extensive thread on "to have HWH auto levelers or not" with lots of good information. We have them on our 2100 and love them. You are correct about them not being intended to correct terribly out of level sites. They don't work like a car jack and you should never lift the tire off the ground. What I love is the tweeking of the level and that the unit stays stable in wind and when we walk about inside. Don't know anything about frame torking. A new day has dawned now only traveling with Miss Elle . Jim will be watching over us.
' looks like the consensus is that those who get them love them. Re. whether they'd drag on the ground or not obviously depends on where one goes, so I'll just have to carefully look at the next Class C I see with them and decide if they're for us, and check some other websites re. my worries over frame bending. And I will look up more old posts here on them. This forum is a goldmine. Greetings to all you good people with hydraulic leveling jacks. Have any of you tested to see how high the jacks will lift your PC on flat ground? That would be an interesting fact. I ask this because this past trip, we without leveling jacks were in a paved camp site that was 8" off according to our Hoppy levels. Our Lynx leveling blocks are good for only 4" so we stayed two nights there at 4" off level. If you wonder, our fridge running on 110v had no issues being off level like that. Yes, I did (stupidly) play with the front HWH leveling jacks to see how high they would lift our 2100. They will lift the tires off he ground. That is as far as I went and did not leave it there long. However, that is not the intent and they should never be used that way. Rather like standing on the ground with crutches and lifting both feet. A good shove/strong wind will push you off the jacks or crutches. They could not have made up the 4" difference you experienced. They can adjust for 1-2" but for me the real love affair is with how stable it makes the unit in high winds (a frequent problem in our wild west) and with us walking around inside. SIDE NOTE: When I have been where spaces are so out of level, I have found they usually have a stock pile of boards to use for leveling, even in national/state parks. Just ask at the office/check-in pointy. Is that the limitation? Leveling jacks are good for an inch or two? Not more than that? Are you certain? What does the opperation manual state? That's just what I was wondering, too. It seems like there's be a lot more than four inches travel to lift the tires off the ground. If not, I may stick with blocks. For the 2x8 or 2x10s needed to fully support tire tread, redwood works well as it doesn't quickly split. For 4x, regular Douglas fir is OK. A chain saw makes a nice rough angled cut for tire grip, but there are limits to how high a pyramid you want to stack, and they do take up a lot of room in back of the Roadtrek. But if levelers would let me leave most of this firewood behind on the next rig, I'd consider them. - Park with the front of the vehicle facing downhill if possible. -Care must be taken not to raise the rear of the vehicle too high or the vehicle may roll forward or backward off the jacks. 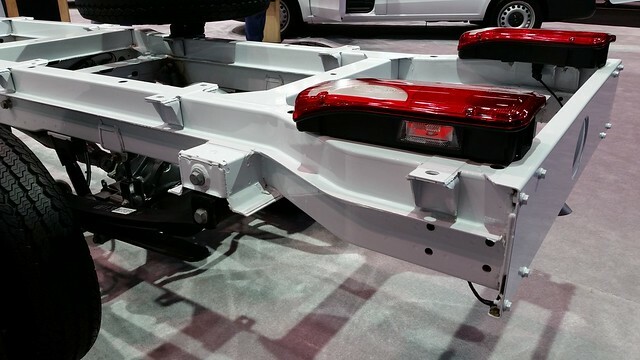 - IF THE VEHICLE IS EQUIPPED WITH KICK-DOWN STYLE JACKS, DO NOT OVER EXTEND THE REAR JACKS. IF THE WEIGHT OF THE VEHICLE IS REMOVED FROM ONE OR BOTH REAR WHEELS, THE VEHICLE MAY ROLL FORWARD OR BACKWARD OFF OF THE JACKS. -If the ground is too uneven, the jack may not have enough stroke to level the vehicle. The vehicle may have to be moved. REMEMBER, if lifted too high, the vehicle may roll forward or backward off the jacks. - (in the ROOM EXTENSION PROCEDURES section) If the vehicle is equipped with kick-down jacks, the wheels MUST be blocked securely. It is recommended to complete the Leveling Procedure before operating room extensions. It is recommended to retract room extensions before retracting jacks. I have been using HWH jacks since 1989. The HWH jacks that Phoenix has put on will rise 6 inches. that is enough to lift the front tires off the ground about 1 inch but will not lift the rear tires off the ground. The rear tires are almost off the ground, so be very careful. As we all know the parking brake locks the rear brakes, so if you were to lift the rear tires you could roll forward or backward. If you lift the front off the ground, but not the rear, you will be safe but the PC will wobble as you walk around inside it. I carry two plastic ramps that are about 12 inches long and use them if the jacks are not enough. When up on the ramps, I will place a 2 inch board under the jack to stabilize the PC. I rarely do this, only in extreme cases. As for the refrigerator, todays units are not as sensitive to being off level as back in the 1900 and early 2000s. Check you owners manual. We can attest to the ability to roll off the jacks because we did. Early on, shortly after purchase John jacked up the back and down we went. We didn't "roll" due to the locked wheels in the back that then hit the ground but we did drop forward. Needless to say, lesson learned - we never did that again. I have a question on the concern of frame bending. Isn't the frame what they use to securely lift the vehicle for repairs? Vehicles occasionally stay up on those lifts for days, seemingly with no issues. I understand the jacks are probably a more limited contact zone than the lifts but they are supporting both sides of the steel frame or one side is supported on the tires. Surely vehicle design takes those factors into consideration or the jacks would not be deemed safe for use. They've been around for years. Right, the frame is used for jacking or when supported by lifts, the same as certain parts of suspension or axle, but all of them only in certain spots identified in the manual both to prevent bending of something, and where it would be stable. One wouldn't want to lift in some spot that would cause a teeter-totter effect. I know reputable installers would only install hydraulic or electric levelers (or jacks) on the frame where safe, but wonder if there'd be problems if using them on a slight diagonal angle to the slope, thus requiring much more lift in one corner than the adjacent corner and inducing torsional stress. As no one has warned of trouble with this, the E-Series frames must be quite robust. Since about '97, the Chevrolet Express has also had a full frame, and I don't know if anyone has had or read of frame twisting issues with those. I thought I recalled this being an issue on Sprinters with their somewhat unitized body construction, similar to Ford Transit. Our old Dodge Ram-based Roadtrek and the older Chevy vans were similar construction (every idea comes and goes), and I also thought I recalled some sort of prohibition against hydraulic levelers on these back when they were making Class C motorhomes with them, but could be mistaken. Re. the amount of lift, 6 inches or so is good to hear. That's not so much to be dangerous, but would still handle a fairly steep camp site. I recall on another RV forum, someone compared the E350, E450, and GM frames, all having a "C" channel design. The E350 frame has the same dimensions as the E450, but the steel is a little thinner. The GM frame dimensions are much smaller. There was some thought that maybe GM uses a stronger steel to get away with such a small frame. As I understand it, the Sprinter and Transit use a thin hardened steel box frame. Outfitters are not permitted to change the wheel base or extend the frame beyond the rear axle. I have wondered if it is in-part because the welding process will weaken the steel. I also wonder how a thin box frame could be reliably cut and extended to increase the wheel base without distorting it. I also read somewhere that the drilling of holes into the frame is not permitted. Here are a few interesting pictures for the curious. Sprinter box frame having two "U" channels (one inverted) glued in the middle at the flanges. Another thing: Leisure Travel Libero, built on a Chevy van cutaway, only lists electric stabilizers, not leveling jacks, as an option. Perhaps they, too, ran into some frame issues that don't seem to come up on the Ford van cutaway. And here's an pitch from one of the Bigfoot Levelers or Bigfoot Leveling (Same company, different names on websites? 'not sure. ): "Manual Stabilizing Four Point System Convenient wireless control that allows the operator to walk around the vehicle or the campground to operate his system. Control operates the jacks in pairs to resist frame twist or slide-out damage."